Of the other names on the ballot, none received more than 1.65 percent of the votes. That was Howie Hawkins on the Green Party line. Libertarian Larry Sharpe came in at 1.57 percent and Stephanie A. Miner received 0.89 percent. UTICA, NY - State election results have an impact besides determining who will serve office for the next term. It also is works to establish the order in which parties will appear on future ballots, even whether a party will appear at all. Tuesday’s state results changed the line up on how the parties will be listed on ballots in New York State and solidified the rights of two parties for the next four years. Among the losers in the race for New York State Governor, Larry Sharpe came out a winner. The Libertarian candidate’s finish with the sixth highest vote total under a party heading, not only earned his party a place on the ballot, it moved the Libertarian line out of a co-share position and into the sixth place on future ballots. 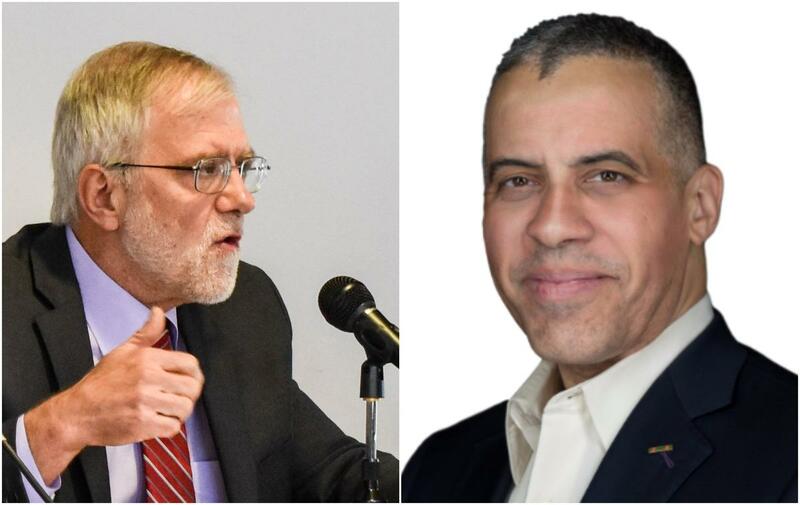 Andrew Cuomo’s 105,980 votes as the Working Families Party candidate topped Howie Hawkins’ 95,668 votes on the Green Party line and flip flopped those two party’s positions on the ballot. 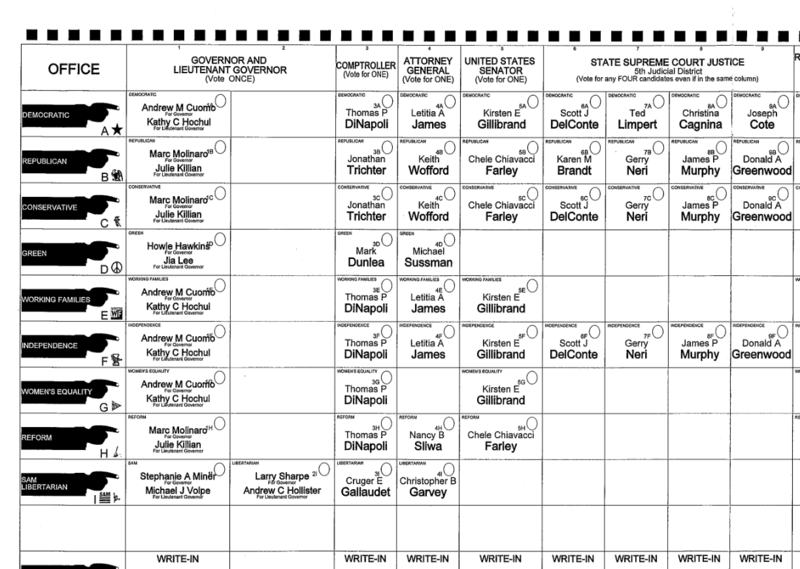 While former Syracuse Mayor Stephanie Miner had the lowest vote total of all of the candidates running for Governor, her vote total, as the Serve America Movement party candidate, crossed the 50,000 line needed to qualify as a party to be placed on the ballot for the next four years. Earning a place on the ballot gains for a party the ability to nominate candidates for statewide office without petitions. It also allows for a lower threshold to be met in order to qualify a candidate for a legislative office. Hawkins won 94,839 votes statewide to secure the Green Party a ballot line for the next four years. In Onondaga County, Hawkins won 3 percent of the vote. He won 463 more votes than Miner in Syracuse.